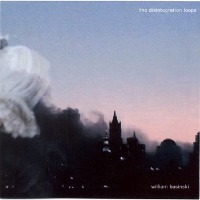 The Keith Rowe's performance recorded in "September" and the orchestral version of the the 'dlp.1' track, originally featured in the first volume of "The Disintegration Loops" by William Basinski, published in the box reissue and streamed by BBC, pose some questions about how something is described in a form of art. This releases, among the best works of this artists, share some common features as they both deal with the same event and they are live recordings but they reveal different perspectives as they are the product of different artistic personalities. Composed for the 10th anniversary of both the piece and the 9/11 attack, this version of the piece marks some of the peculiarities of this artist. As usual, as time is not linear in the work of Basinski, he rewrite his past but instead of making a melanchonic picture of his youth, as in 92981, or painting the irreversible process of ageing, as in the Disintegration Loops series, he tries to depict a form of rebirth. The original form of this track is the documentation of the sonic decay of a tape loop whose magnetic layer slowly detaches from the plastic support. This over an hour long process, in this form, is translated in a slow development for a chamber ensamble. This operation close resemble the one done by Debussy for the orchestral arrangement of the Satie's gymnophedies where the french composer used orchestration as a way to add color to the black and white melancholia of the piano version. This adaptation for a small ensamble starts quietly with an oboe to exibit the main loop and the string to emulate the small noises of the tape, then the piece develops eliminating a sparse note every reiteration of the main phrase until only the strings remains; so this sounds as contemporary music even is somehow different in structure. The real achievement of this arrangement is the demonstration of how a musical idea can be developed in various form and reveal the connection between how we call 'experimental' or 'avantgarde' with our musical past. 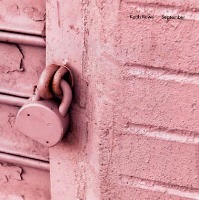 The new cd by Keith Rowe was recorded at AMPLIFY 2011 festival and the performance is dated september 11. This release is noisier than the recent output from the british improviser and features the return of tapes in the musical development so it marks the return to territories demised in recent years when the english guitarist was in the search of subtle and quiet sounds in search of a texture rather than a figure. The performance features relatively known pop tunes, probably aired on the radio, and quiet classical sonata, tape recorded as it returns during the track, and are probably the simbol of the ordinary life menaced by the dramatic events the attack triggered and symbolized by the quite sharp noises. The classic tune is the second piano quintet by Dvořák, a composer known for his enthusiastic relocation in the "New World" and his nostalgy for the old. The guitar inserts hums and noises returning to the territories expored in his "harsh" release, almost a decade ago, another reflection about city life. The difference between photography and painting is their connection with time. At first sight it seems they have a different relationship with reality as a photograph, even if manipulated, deals with something 'real' while painting could have an 'immaginary' subject but, in fact, the possibility to transform a 'real' subject into something 'immaginary' is a matter of technical methods, not a question of photography itself. Instead, photography deals with time from his birth when a long exposure were needed for proper film impression, so it emerged the need for short exposure as reality aren't still so photography had to 'stop time' as, unlike painting, it's not possible to picture from memory. So, at first sight, Basinski is the photographer, thinking at the original process of the piece when it was searching to save loops from his decay, and Rowe the painter, as he was trained. In this releases they swapped perspective, as Basinski works as a painter when he describe his memories of the original process in 'traditional' terms while Rowe became a photographer when he uses the music from radio as a way to fix the ordinary life just before it changes. So it's a way to see how relationship with time changes painting into photography and, conversely, photography into painting.